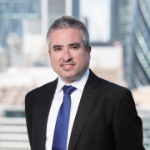 Enrique Jimenez joined Demica in June 2016 as Head of Supply Chain Finance, managing the Supply Chain Finance (SCF) product. He also recently oversaw the launch of the company’s new SCF Platform and its supplier onboarding feature. Previously he worked at Banco Santander as Head of Supply Chain Finance & Trade products in Continental Europe. Enrique has 20 years’ experience in Corporate banking with a mix of Equity Research and Working Capital Solutions roles.